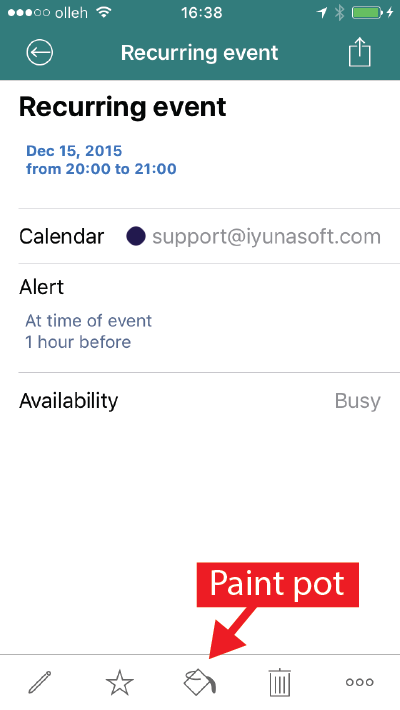 how to change colour of event and calendar – Customer Feedback for YunaSoft Inc. There are 2 colouring options which are a calendar colour and an event colour. 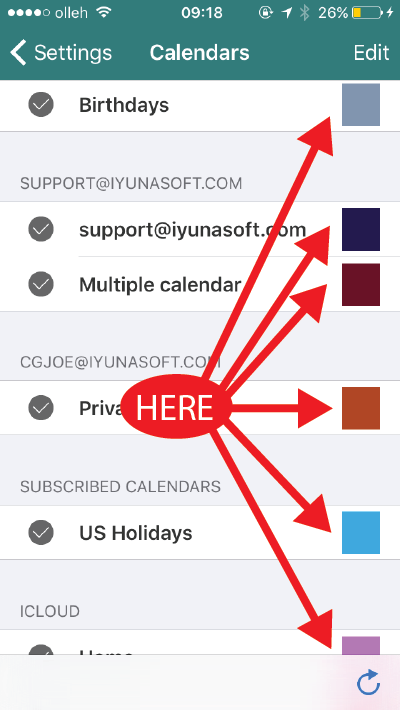 First of all, let me explain about calendar colour, when you go to the "Calendars & Reminders" settings, you will find the colour boxes next to the calendars like below. Simply click on one of the boxes and change it to whatever colours you want so then all events colour of the calendar will be changed. If you want to change an event colour not all events, you can do it by clicking the paint pot icon in within the event details. when you drill down to the event details page like below, you will see paint pot icon in the middle of bottom bar. click on the paint pot and change it whatever colours you want.